In 1920, Yogananda was invited to serve as India's delegate to an international congress of religious leaders convening in Boston. His address to the congress, on "The Science of Religion," was enthusiastically received. That same year he founded Self-Realization Fellowship to disseminate worldwide his teachings on India's ancient science and philosophy of Kriya Yoga and its time-honored tradition of learning and teaching how to meditate. 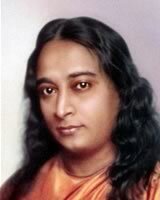 Yogananda's life story, Autobiography of a Yogi, was published in 1946 and expanded by him in subsequent editions. A perennial best seller, the book has been in continuous publication since it first appeared and has been translated into 18 languages. It is widely regarded as a modern spiritual classic. To learn to meditate will open your own creative mind and reduce negative thinking.